The 2019 Australian Open is set to come to a conclusion with a blockbuster match between top seed Novak Djokovic and the second seed Rafael Nadal to determine the winner of the 2019 Men's Singles champion. Both these players are no strangers to each other as they have faced each other as many as 52 times with the Serb having an upper hand over the Spaniard with a 27-25 margin. The last time they met each other, Djokovic got the better of Nadal in the semi-final of the 2018 Wimbledon in a thrilling five-setter that ended 6-4 3-6 7-6 (9) 3-6 10-8. However, Nadal has the bragging rights in their rivalry in Grand Slams as he is leading the rivalry 9-5 out of which many came at Roland Garros. 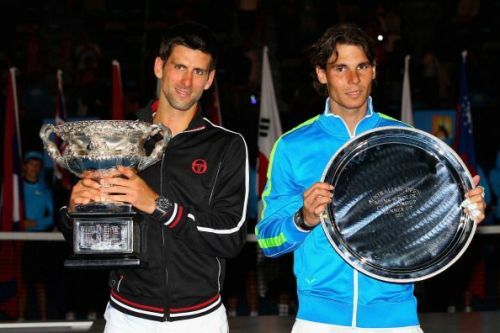 Their only meeting at the Melbourne Park came in the final of the 2012 edition in which Djokovic overcame Nadal 5-7 6-4 6-3 6-7 (5) 7-5 in a marathon match that is considered by many as one of the best matches here. Both of them could hardly move after their six-hour epic clash seven years ago, which is still the longest Grand Slam final. Just like their previous encounter here, the 2019 Men's Singles final has a lot of potential to steal the show again. Time: Approx 14:00 IST or 19:30 AEDT. India: Matches will be shown live on TV on Sony SIX, Sony SIX HD, Sony Ten 2, and Sony Ten 2 HD. All matches can also be streamed live on the official Australian Open website and the Indian audience can stream it live on SonyLIV.